From the very beginning, our team of professionals has been focused on forging close and lasting relationships with our clients. Our growing list of customers includes many of South Florida’s most reputable and well-respected companies and institutions. We strongly believe in our philosophy of “Partnering” with our customers and have built our company on this philosophy. 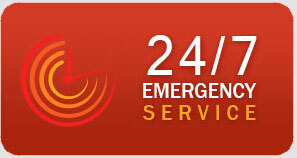 Advanced Integrated Services aims to provide you with the same level of commitment. As our team grows, our commitment to customer satisfaction remains our $1 priority. Dennis worked at York. Dennis then went to work for Carrier Corporation where he became a service supervisor for Latin America. His primary task was dealing with industrial customers. Ken started his Union career with Powers working on control systems. He was then recruited by York Corporation where he became a York master mechanic. He taught industrial air conditioning at the local union school for over twenty five years. Our technicians all are graduates of the training program witch consists of five years of schooling , two night a week. The training program is recognized by the State of Florida.